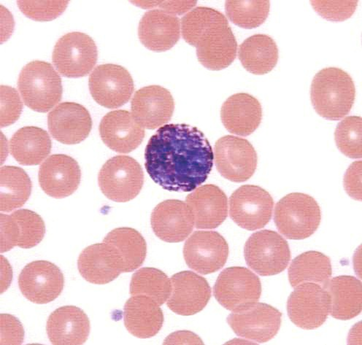 BASOPHILS | Microanatomy Web Atlas | Gwen V. Childs, Ph.D.
A basophil is characterized by a lobed nucleus and it is filled by large blue-black granules that sometimes cover the nucleus. 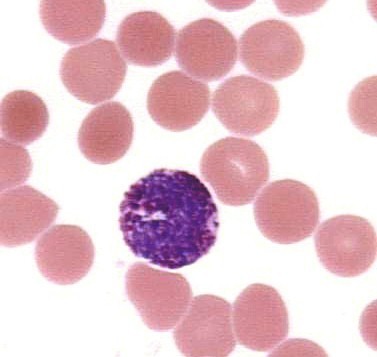 Here you can see the distinct granules against the purple nucleus. 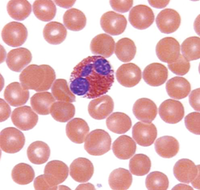 Can you find platelets on this photo?